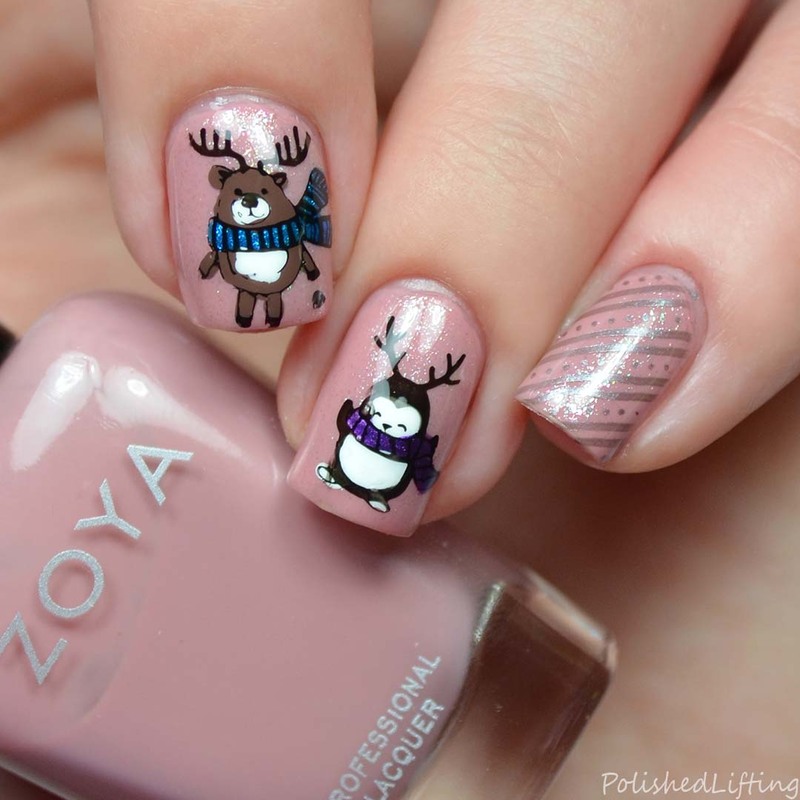 It's the fifth day of #nailmas and things are still plugging along! Today's post features another one of the brand new Beauty Big Bang winter nail art plates. They're so cute, and I've been having a great time creating with them... even if a lot of my manis were snowflake themed ha! I think I've finally transitioned out of my snowflake phase and on to other things. Instead of snowflakes I thought I would try out two cute winter friends. For this look I started with a base of Zoya Mia, and topped it with Zoya Shimmer. While my base was drying I used Beauty Big Bang XL-033 to stamp the reindeer and penguin so that I could create decals. If you enjoyed this post you might like Winter Wonderland Nail Art | Ehmkay Nail x Polished Lifting Winter Nail Art Challenge and Vintage Ornaments | Ehmkay Nail x Polished Lifting Winter Nail Art Challenge.